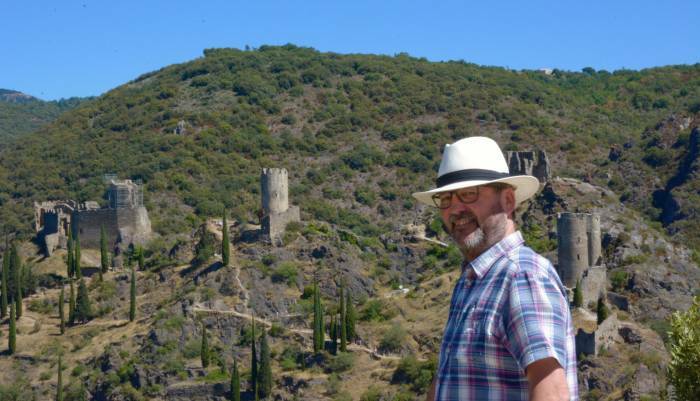 The published author of over 40 novels, Michael has always been fascinated by history, but it was only after a career change was forced on him that he was able to indulge his interests full time. Early in 1994 he realised that he had already worked for 13 companies, of which all but the last had ceased trading. So his career change was a great hint from on high. At least, that was how it seemed at the time. And the 13th company also disappeared quickly (unlamented). Although he was born in Surrey, he always knew he wanted to live in the country. Every Easter holiday, he and his family would drive to Devon to a holiday cottage they rented. Those breaks on a working farm guided the whole of the rest of his life. As soon as sales of his books would allow, he and his wife moved to Devon. The first books were to form the basis of his thrillers, the Templar Series. These books came about because of a visit to Devon and Fursdon Manor in 1993. Shortly afterwards he had an idea for a medieval murder story set in and around Fursdon, incorporating the destruction of the Templars, a terrible by exciting period in English history. Enthused by his vision, he began writing in early in 1994, and it was completed in March the year after. Headline bought it, initially commissioning two more in the series. The Templar Series is now, at 32 titles following the careers of Sir Baldwin de Furnshill and Bailiff Simon Puttock, the longest running crime series by any living author. 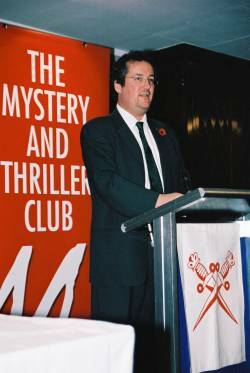 From 1999 to 2001 Michael was the Organiser of the Crime Writers' Association's Debut Dagger, helping new authors to find their feet. Since then he has been a judge for the CWA Ian Fleming Steel Dagger, and many other awards. In 2015 he helped judge the Impress Books Prize, and in 2016 he was the Chairman of Judges for the prize. He has helped the CWA's management committee for a number of years, and in 2004/5 he was honoured to be elected Chairman; he also formed the performance band of authors, The Medieval Murderers, and worked with the other authors on a series of collaborative novels. More recently worked on the Committee of the Historical Writers' Association. 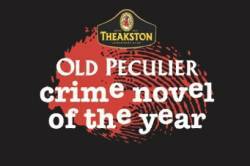 His books have won wide acclaim in the UK and abroad, and been shortlisted for prizes such as the Theakstons Old Peculier Crime Novel of the Year Award - a rare accolade for a medieval novel. Michael has always been a popular speaker at after dinner events, literary festivals, libraries and educational institutions, and has travelled widely, from Italy to Colombia, all over the USA and Canada, and even as far north as Anchorage, Alaska. He was proud to be invited to be International Guest of Honour at the Bloody Words festival in Toronto in 2014, and to be asked to be Grand Marshal of the first parade of the New Orleans Mardi Gras. More recently he has worked with the BBC interviewing authors based in Devon, talking to them about their writing and where they find their inspiration. He has also spent two years with the Royal Literary Fund as a Fellow, advising and helping students at Exeter University on how to write clearly and concisely. In 2016 he was also honoured to be elected as Hon. Secretary of the prestigious Detection Club. Michael and his family live in a small village in northern Dartmoor with their scatty Dalmatian, with whom he walks regularly looking for inspiration for his books or painting. Often he will walk the ancient tracks with a book, researching and reading while he walks (with the unfortunate result that he was once witnessed walking into a telegraph pole). 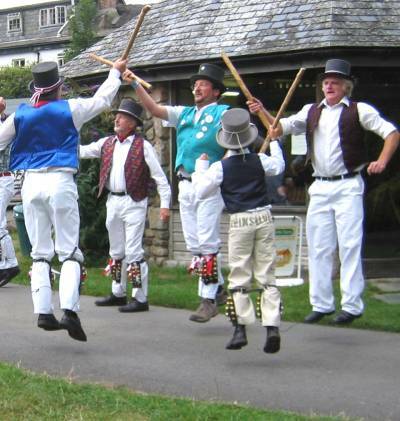 In 2005 Michael became one of the founders of a new Morris dancing side, Tinners' Morris, which has become noted for its eccentric and hazardous style. And ability to drink copious quantities of beer. He loves writing. "It is the only career for which I am paid to daydream," he says. "Being able to write and entertain other people - and earn a living at the same time - is a marvellous way to live. I wouldn't change anything."